How are you getting on with all the Holiday business? I have been baking up a storm, and I just love it. I get up in the mornings when I’m not working, and get the butter out to soften at 7am! It’s a labor of love, and I really enjoy sharing my baked goods with my family and friends during the holidays. That’s why I was very excited when I heard Dorie Greenspan was coming to town. I didn’t personally know of her until this event, but her repertoire is extremely impressive. Because my friends were excited about meeting her, I naturally was too. When I heard that she would be promoting her new Cookies book, I got even more excited, because I’m the self-proclaimed cookie queen when the holidays roll around! I’d get to meet one of my cookie kinswomen, and that’s pretty special. When it comes to cookies and baking, while there is definitely a certain science to it, you can still experiment here and there. 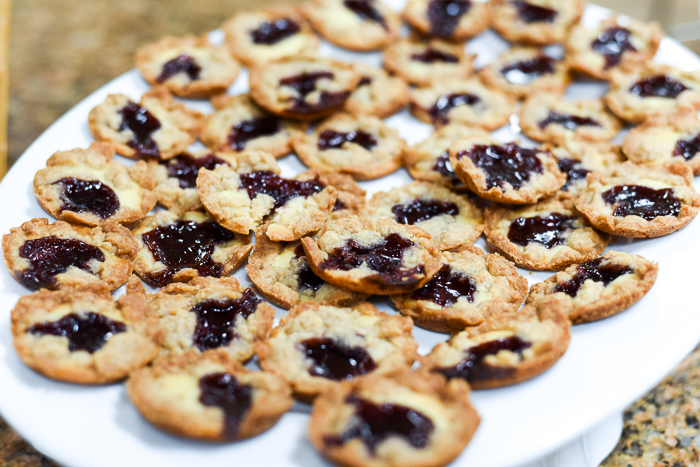 Thumbprint cookies can have different variations of nuts that they’re rolled in, and the types of jellies/preserves/marmalades/ganaches you can fill them with are endless! 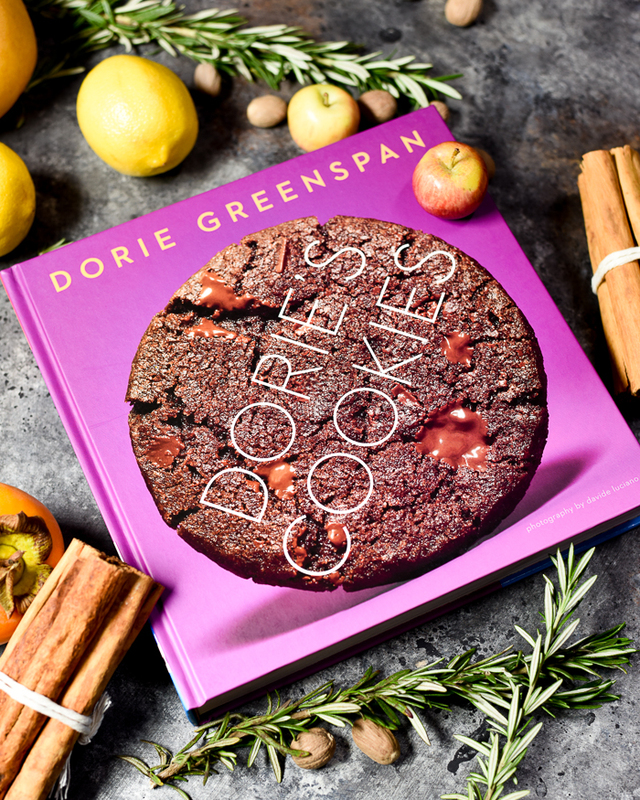 Dorie Greenspan has taken cookies to the next level with her book – and each and every one of them looks delicious. 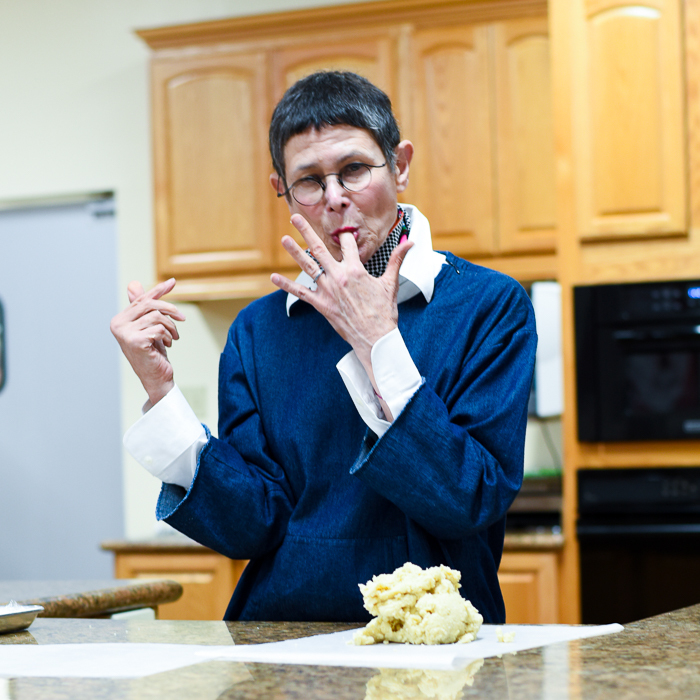 At the event, we got the chance to sample a handful of her recipes, and they did not disappoint! 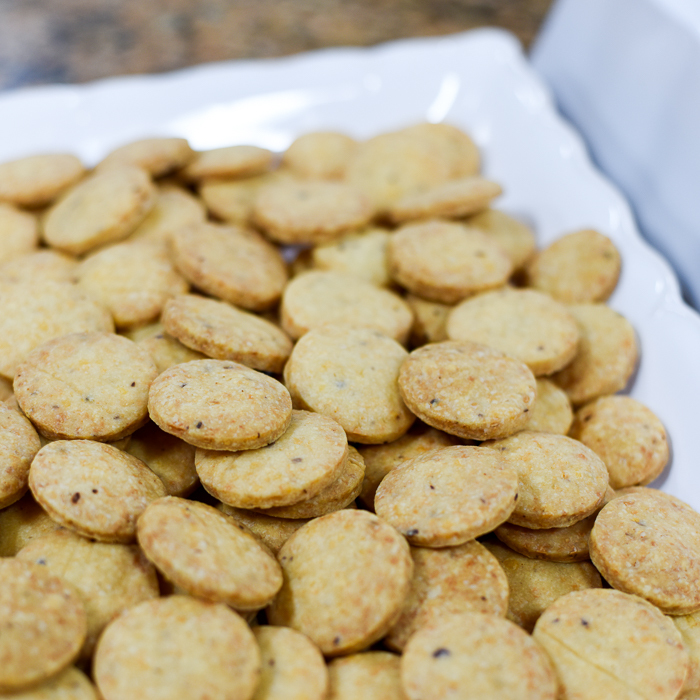 I particularly loved the whole “savory cookies” section – these Smoky, Cheesy Cookies were THE BEST! This weekend I made the Cabin Fever Caramel Banana Bars, and those were awesome as well. I can’t sign off without mentioning the Jammers – they were definitely a fan favorite! 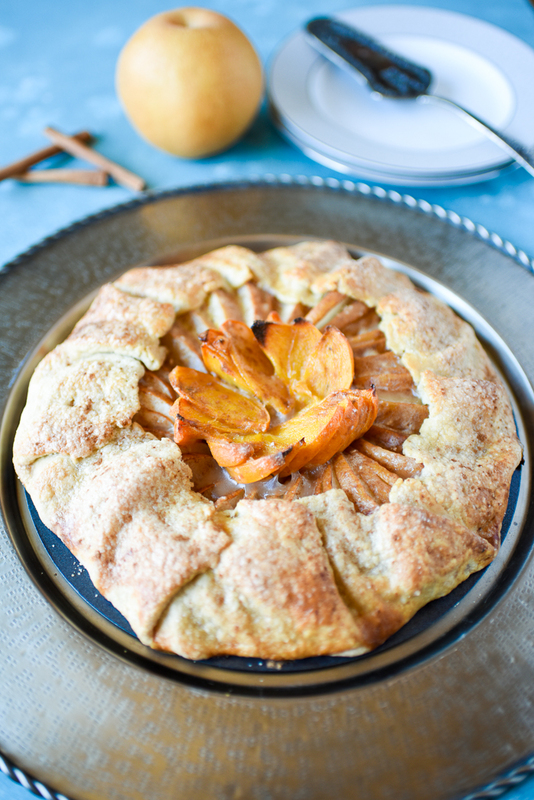 Speaking of experimenting, I definitely did some of my own with this galette, and the results were amazing. The Greenspan event was around Thanksgiving, and I had an extra pie crust laying around that didn’t get used. 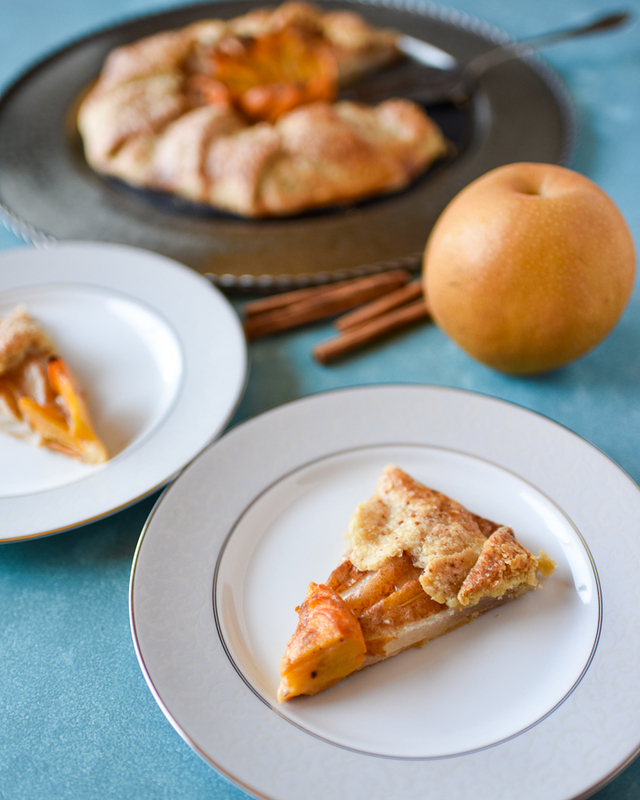 Melissa’s Produce sent me home with lovely fresh Butterscotch Pears and Cinnamon Persimmons, and an idea was born! The pie crust was a standard butter crust, and the fresh pears had my gears turning. 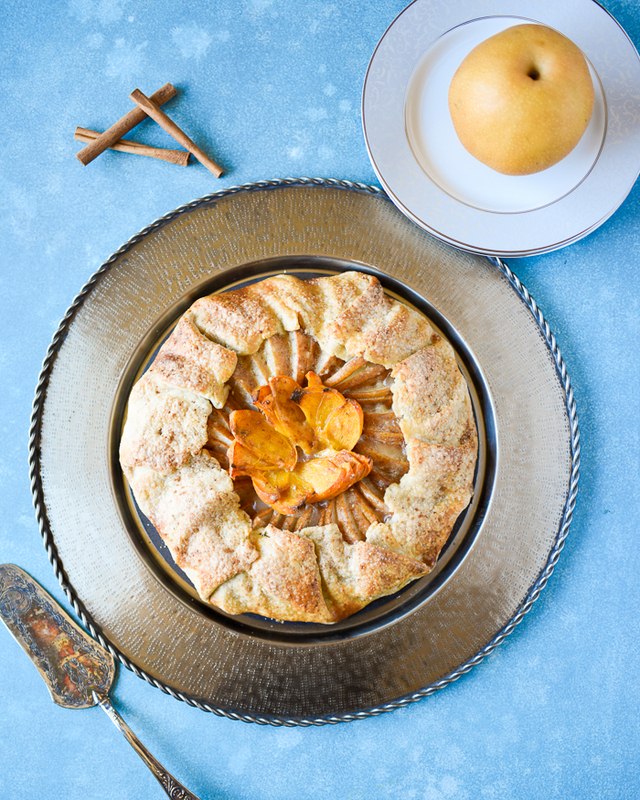 I love galettes because they are rustic and incredibly easy! 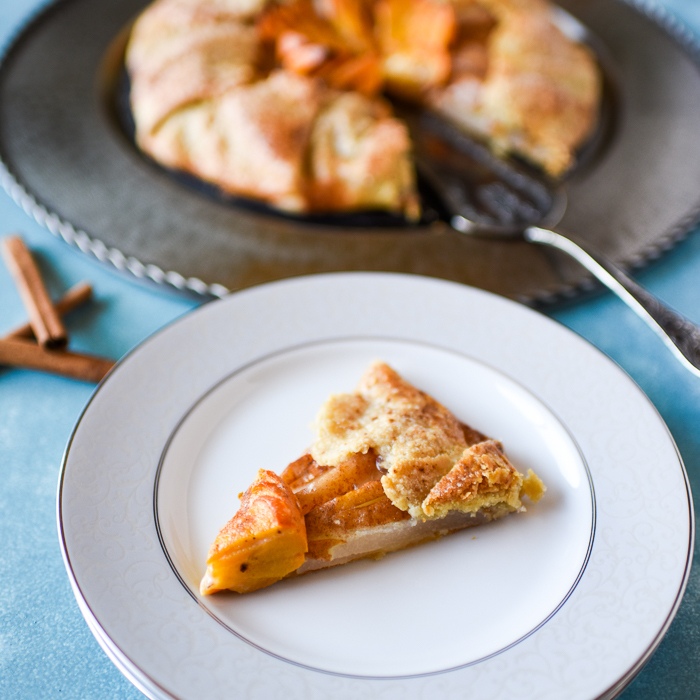 All it takes is a pie crust – use store bought if you can’t be arsed with making one, and slice up some fruit! I add a little cream of tartar, flour and sugar to thicken any juices up and make it just a teeny bit sweeter. Runny pies/galettes are the WORST! 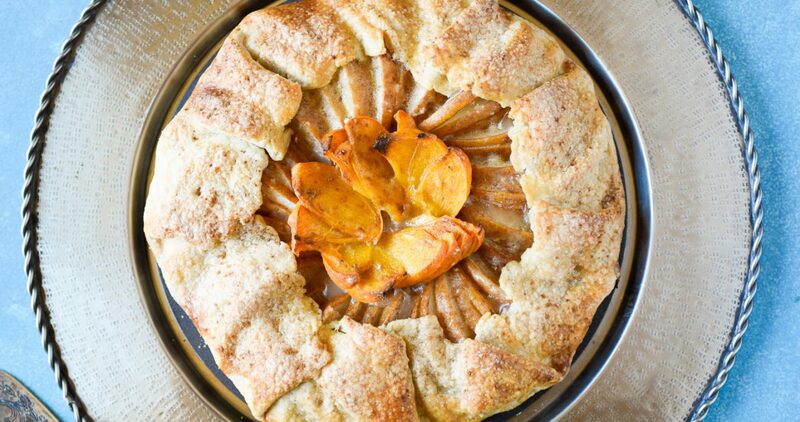 Remember to leave 2-3 inches around the edge, because you fold the crust up over the fruit to encapsulate all of the goodness, and keep everything neat and tidy. Brush with egg wash & cinnamon sugar, and bake that puppy until golden brown and tender. It takes about 10-15 minutes of active time, and you have a nice sweet treat for your family/friends. Perfect. 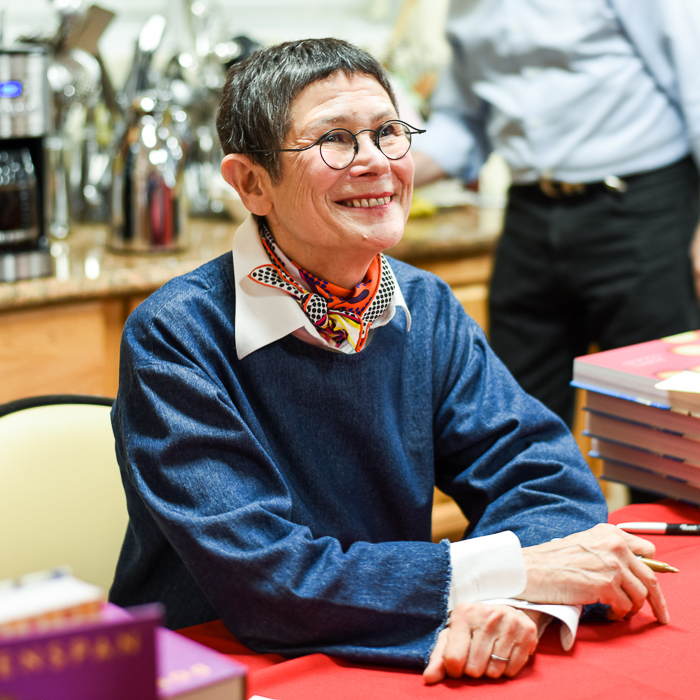 If you’re a cookie lover, make sure to check out Dorie Greenspan’s book, Cookies – you’re going to love it! Preheat oven to 350 degrees Farenheit, and line a baking sheet with a silicon mat or parchment paper.. In a small bowl, mix the flour, cream of tartar, sugar, and cinnamon. In a large bowl, combine the sliced pears with 3/4 of the flour mixture until all are lightly coated. In a smaller bowl, combine the remaining flour mixture with the cinnamon persimmons. 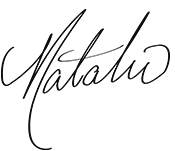 Roll out your pie crust until about 1/8″ thickness or about 2-3″ greater than the radius of a standard pie plate, and transfer to the lined baking sheet. Arrange your sliced pears neatly, leaving about 2 1/2″ of the edge, and arrange the persimmon in the middle of all of the pears. Fold the pastry over the raw pears. Mix the egg and water very well in a small dish, and brush on the pastry that is folded over the pears. Combine the sugar and cinnamon in another small bowl, and sprinkle on the crust. Bake in the oven at 350 degrees Farenheit for 30-35 minutes or until the crust is golden brown, and the pears are tender. Cut into slices and enjoy! Your pictures are just beautiful! I love them and this recipe! Thank you so much, babe!! !